Being involved in any kind of accident is scary and stressful. If you are hurt as the result of an accident, the stress is intensified. You may not be sure exactly what to do after an accident takes place. Fortunately, the Fort Collins personal injury lawyers of Zinda Law Group can help. Our accident attorneys can answer your questions and advise you on all your legal options so you can make an informed decision on your best path forward. As one of our clients, you will pay nothing unless we win your case. 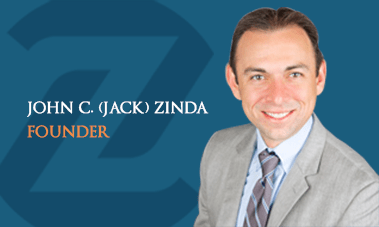 To learn more about how our firm can help you, call Zinda Law Group today at (800) 863-5312 for a 100% free consultation with our experienced personal injury attorneys in Fort Collins, Colorado. If you are hurt, filing a personal injury claim is a good place to start. Here are some general guidelines to keep in mind if you want to file a personal injury claim. After the accident, make sure to write down or take pictures of everything you need to file the claim. Pictures of the cars and scene. If you are injured on the premises of a company, you will want to find out who owns the property and if they have liability coverage. If there were any witnesses to the accident, make sure to get their contact information. Keep a written record of everything that happened to you after the accident, including hospital visits, lost wages, additional injuries, and any other ways your injury affected your life. You should also be sure to keep records of hospital bills and any contact you have with anyone involving your case. If the at-fault party has insurance, you will file the claim directly with their insurance company. Once the insurance company is notified, a claims adjuster will reach out and try to negotiate a settlement. Before the insurance company will settle a case, the claims adjuster will need proof that the accident was in fact caused by their insured, that the insured was negligent in some way, and the extent of your injuries. You should be prepared to provide the insurance company with all the information it needs in order to investigate your claim. This can include medical bills, police reports, resulting property damage, and any other evidence you have to prove your case. It is essential to file a claim as soon as possible after the accident occurred. Some insurance companies require notice of an accident within 24 hours. If your insurance claim does not progress or the negotiations stall, you may have the option of filing a personal injury lawsuit. Filing a lawsuit is more intensive and time-consumer than filing an injury claim. If you choose to pursue this route, you will likely want to hire a personal injury lawyer. An accident attorney can help you navigate through the legal process effectively. It is also important to keep in mind the statute of limitations for personal injury claims, which can be anywhere from one to six years, depending on the state. If there is a two-year statute of limitations—as is the case in Fort Collins, Colorado–that means you have two years from the day of the accident to file a lawsuit for personal injury damages. At Zinda Law Group, our experienced injury attorneys have the knowledge and resources necessary to help you pursue the compensation and justice you deserve for your injuries. We will fight tirelessly to protect your rights and help you build the strongest case possible. Our injury lawyers also work on a contingency fee basis, which means you will pay nothing unless we achieve a favorable settlement, judgment, or verdict for your case. That’s our No Fee Guarantee. If you or a loved one has been injured in an accident, call Zinda Law Group at (800) 863-5312 to receive your free consultation with one of our skilled Fort Collins personal injury lawyers.